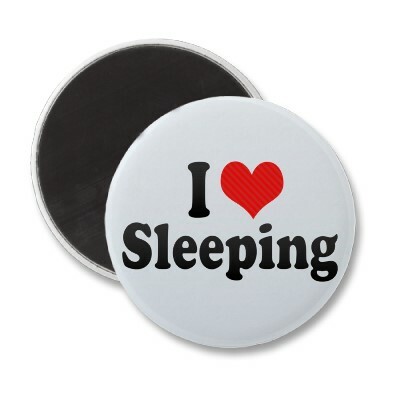 Most of us love to sleep. And surprise—our hearts love it, too. But the Center for Disease Control and Prevention says more than a quarter of the U.S. doesn’t get enough of the stuff. And it’s hurting more than our energy levels—it’s harming our hearts. Did you know sleep deprivation is associated with a number of chronic diseases that can hurt this vital organ? According to a 2010 study published in the Annals of Epidemiology journal, people who sleep less than six hours per night are three times more likely to develop incident-impaired fasting glycaemia (IFG), a condition where your body isn’t able to properly regulate glucose, which leads to a greater risk of type 2 diabetes, heart disease and stroke. Other studies have shown that a lack of sleep can increase the body’s production of cortisol, a hormone produced in response to stress that can result in weight gain even when dieting and increased blood sugar results—which again can lead to diabetes. There are also many studies linking insufficient sleep to a number of cardiovascular diseases, including high blood pressure, stroke, coronary heart disease and irregular heartbeat. The most recent, seen in the February 2011 issue of European Heart Journal, showed that sleeping less than six hours per night gives you a 48% greater chance of developing or dying from heart disease and a 15% greater chance of experiencing or dying from a stroke. Another 2008 study from the Journal of the American Medical Association found that the sleep-deprived are more likely to develop calcium deposits in their coronary arteries, raising their risk for heart disease. A January 2007 issue of the Harvard Heart Letter reported that poor sleep increases levels of C-reactive protein and other substances that rev up the body’s sympathetic nervous system, which can strain the heart. So now that you know how important sleep is to heart health, what can you do about it? Ideally, you want to sleep seven to nine hours straight. If you find yourself waking up throughout the night or waking up from a full night’s rest exhausted, you may have disturbed sleep and will want to see your doctor. Rise and shine at the same time. Our bodies function and sleep best on a regular waking and sleeping schedule, so try to get to bed and get up at the same time every day—even on weekends. Prepare for bed. At least an hour before bed, stop watching TV or playing on the computer. Put on some nice quiet, relaxing music and wind down with a good book or a hot bath. Alcohol and caffeinated beverages can both have a negative impact on sleep, so limit your consumption of both, especially in the afternoon and evening. Also, be sure that you’re not exercising too close to bedtime. If you can’t sleep, get out of bed. Over time your body will be conditioned to know that when it’s bedtime, it’s sleep time. Start a sleep journal. Write down when you go to bed, go to sleep, wake up, get out of bed, take naps, exercise, and consume alcohol and caffeinated beverages. You or your doctor may spot patterns that can be resolved to give you better sleep.